In this post I´ll talk of all of them, experienced in the very hot and humid days I spent in the beautiful colonial city of Cartagena de Indias. How could I miss such a place??? 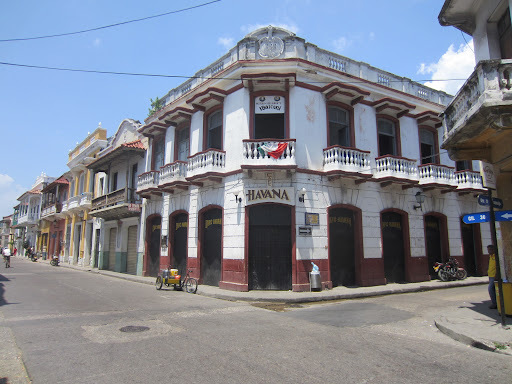 In this corner of this square I found people drinking, singing and watching on the screens videos of live concerts from Joe Arroyo, El gran Combo de Puerto Rico, Oscar de Leon… I felt emotional, the passion for Salsa has its temple in Cartagena!! And it was just Saturday afternoon, unbelievable. 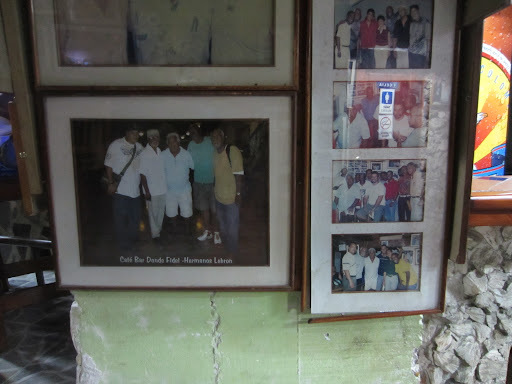 I spent there the rest of the day, enjoying some beers and the good vibe, connecting with people around… and looking at the hundreds of pictures on the walls (click the picture on the left): this Senor Fidel Lotteau was represented with all the greatest Salsa artists visiting his bar! 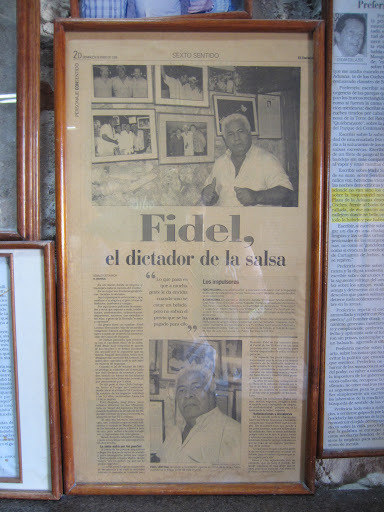 Suddenly I turn my head away from the wall and I see an old man standing in front of me… I had to double-check with the picture: he was Fidel! 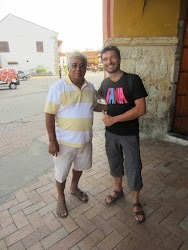 I didn´t loose the chance to introduce myself as “Daniel, un hermano Salsero desde Italia” and take a picture with him. This man who never smiles was in his bar drinking heavy old whisky and talking with his customers. 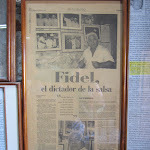 Reading some newspaper articles on the walls I realized that Fidel, “el dictator de la Salsa” is an icon not only for the music he plays. 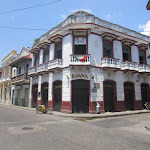 He had fought hard to keep his place for the people of Cartagena and to keep the prices as popular as his music, in a town where tourism boosted and the “aristocratic bars” adjusted the prices for the visitors forgetting about the locals (3000COP for a beer is a good deal in old town). 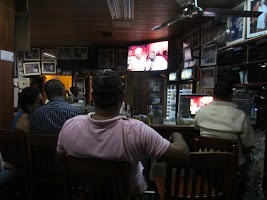 In the hours I spent at Donde Fidel, I would every now and then approach Fidel for a question or two. Q. “And the trombone player Jimmy Bosch? In the meantime, the videos where showing a celebration of Salsa and of Fidel. 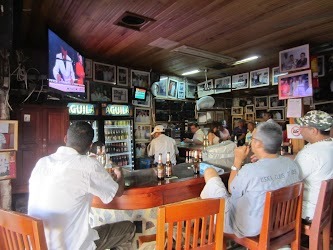 Many videos started showing the group visiting the bar, shaking hands with Fidel, or received at the airport by Fidel. Fidel doesn´t talk much, and never smiles. I wish I could have spent more time with him trying to get some stories out of this man who is now growing a big belly drinking old whisky now. But it´s clear that this is a person that is giving a tremendous contribution to the local community and indirectly to the all Salsa scene. 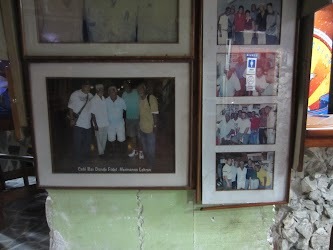 If you ever go to Cartagena, don´t miss this temple of Salsa! I left Donde Fidel only because I had to collect my passport from the captain of the boat that took me to from Panama to Colombia. In the evening with some people from the boat we went to this other Salsa place, Cafe´ Havana, exactly 40 meters away from the hostel I was in. But what happens? The place is full of old people! 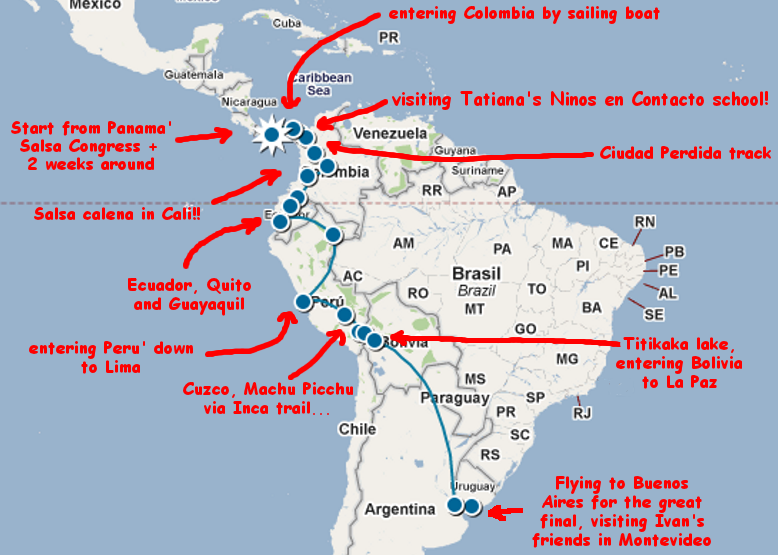 Where are the hot Colombians? 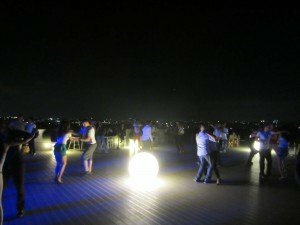 Where are the dancers? That was the strange part of this place. Even later when young people arrived and the place got crowded, everyone was dancing very basic and relaxed… nothing like Cuban, Puertorican, LA, NY etc. we`re used to see. Funny that here they have the best music and the most basic dance! 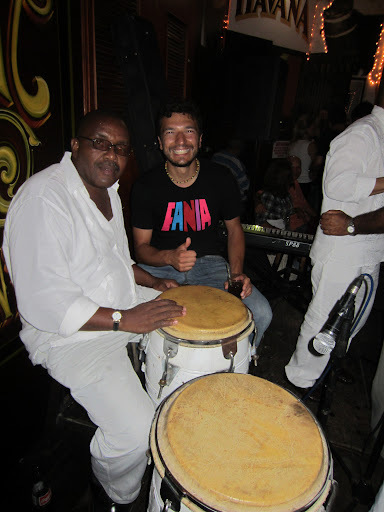 Like Panama city has Ruben Blades as icon in the Salsa world, Cartagena has Joe Arroyo. The song of Cartagena is without doubt his best hit Rebelion (No Le Pegue A La Negra) that talks about the black slavery era in Cartagena. las calles de Cartagena, aquella historia vivio. the streets of Cartagena, this story took place. Listen, don`t hit this girl! no, no, no ,no, no, no, don`t hit this girl.